Visitors can view images from the Delta past and present in the Arts & Science Center’s latest exhibitions, Scenes Along the Delta Rhythm & Bayous Highway and Women of the Arkansas Delta. The exhibitions open with a free, public reception and awards presentation Thursday, Feb. 7, 5-7 p.m. The Pine Bluff Advertising & Promotion Commission and Barbara House sponsor Scenes Along The Delta. The Scenes exhibition captures the natural beauty and human experience of the Delta. Photographs of the landscape, people, artisans, musicians, wildlife, buildings and transportation give viewers a glimpse into the Delta Rhythm & Bayous Highway, which runs from Pine Bluff to Lake Village along U.S. 65, and into Greenville and Leland, Mississippi, along U.S. 82. ASC invited amateur and professional photographers in fall 2018 to submit images for the juried exhibition. Photos were required to be taken within 1 mile of the highway. “I found in these photographs a powerful, nostalgic, mysterious, simplistic and haunting chapter of the story that is the Delta,” juror Lisa Burton Tarver of El Dorado said in her juror statement. She chose 27 pieces for the exhibition and the awards for Best in Show ($500), First Prize ($250), Second Prize ($150) and Third Prize ($100). Tarver will be on hand during the reception to award the prizes. “The criteria for this exhibition included composition, photographic skill, and use of light and went a step further to include exceptional interpretation and je ne sais quoi—that indefinable ‘something’ that speaks to the viewer,” explained ASC Curator Dr. Lenore Shoults. The Delta Rhythm & Bayous Highway has officially been recognized in both Arkansas and Mississippi. In 2017, Act 451 designated the Arkansas Delta portion of U.S. 65 to be the Delta Rhythm & Bayous Highway. Mississippi followed in 2018, designated their portion of U.S. 82 that runs through the cities of Greenville and Leland. The Delta Rhythm & Bayous Alliance sought this designation as part of a broader plan for tourism-based economic development in the region. The alliance is a cultural heritage tourism initiative highlighting music, arts, and bayou history along the route on U.S. 65 and U.S. 82. “The ‘key’ to the Delta Rhythm & Bayous Highway is unbelievably hard to define in words, but immensely easy to understand in spirit for the residents who live in its bucolic wonder,” wrote Jimmy Cunningham for the Scenes Along the Delta exhibition catalog. Cunningham is executive director of the Delta Rhythm & Bayous Alliance and co-author of the book Delta Music & Film: Jefferson County and The Lowlands. “May the photographic images of this exhibition reveal the ‘key’ to our beloved Delta Rhythm & Bayous Highway in myriad illustrious iterations,” he added. In a companion exhibition, visitors will also have a chance to view photos from a 1976 book of the same name, Women of the Arkansas Delta. 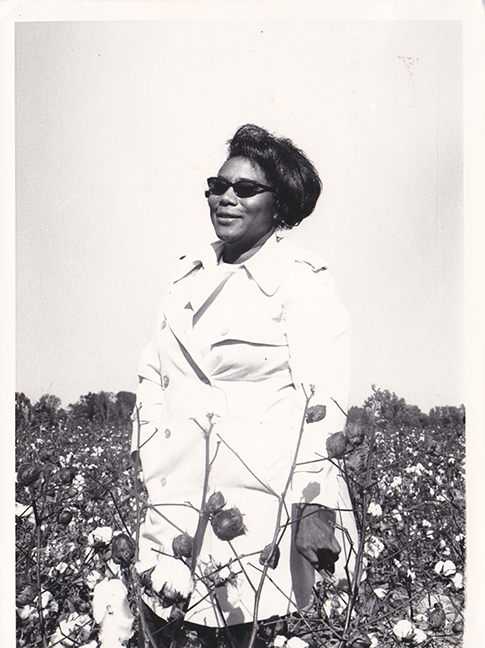 The Pine Bluff Women’s Center, through a grant by the American Revolution Bicentennial Commission in 1970s, sought to “gather, preserve, and publish information about women of the delta, their history and lives.” They documented social justice activists, farmers and small business owners—African American and white. Annie R. Zachary of Marvell. Appointed in 1969 by Gov. Winthrop Rockefeller, she was the first African American named to a governor’s board. Mildred Laureles of Snow Lake. 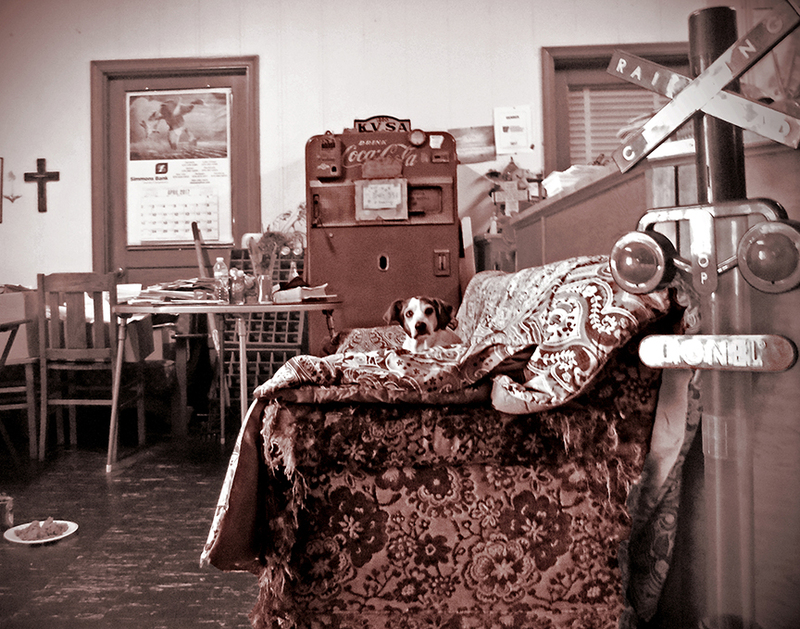 She has been postmistress of the small Desha County community near the Mississippi River since 1947. Ora Brown of of Pine Bluff. She owned a beauty shop and several rental properties in the city. The 1976 book included a recipe for her chocolate pound cake. The book, photographs, and original negatives are now in ASC’s Permanent Collection. Scenes Along the Delta & Bayous Highway and Women of the Arkansas Delta are on view in the International Paper Gallery through Saturday, April 20, 2019.